The oaks and the pines, and their brethren of the wood, have seen so many suns rise and set, so many seasons come and go, and so many generations pass into silence, that we may well wonder what the story of the trees would be to us if they had tongues to tell it, or ears fine enough for us to understand. The original sketch for this oak tree was created for a printmaking demonstration at my daughter's school. It was carved into a 5x7 battleship linoleum block and used to print a short-run series on cotton rag paper. After some thought, I was inspired to create note cards from the prints and, later, a miniature pendant version of the same tree by way of a laser cut imprint plate. 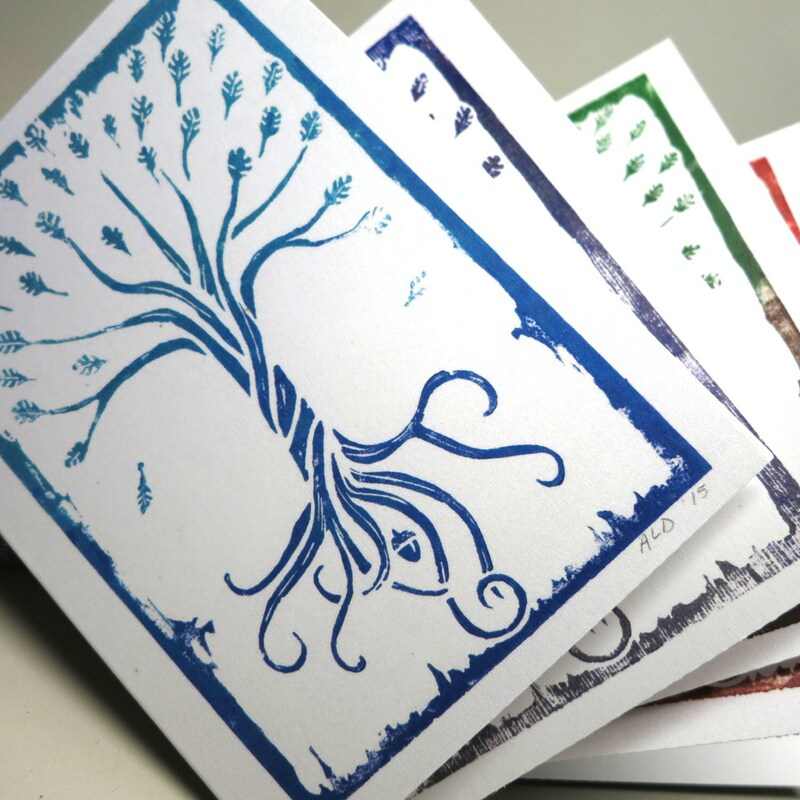 These note cards meld much of my creative experience—from art to design to printmaking. Set of 4 cards, each a different combination of colors. The cards measure 4.25" x 5.5" and come with a white envelope. © Elements & Artifacts 2016.